At this time of year, many homeowners are thinking about trimming the trees around their home. You’ve got a lot of options for getting the job done, whether you’re thinking of doing it yourself or bringing in a professional. Here’s why you should consider us at Advance Tree Pros for that yearly tree trimming, and get your trees ready for the winter months. You may be wondering why you have to call in a professional at all. Why would you have to, when you can do the job yourself? There are all kinds of reasons why a professional would be the best person for the job. One of the best reasons is that it’s a large, complicated job. On your own, it could be quite difficult to do. A team of professionals, though, will be able to handle that tree removal, no problem. Here are a few more reasons why we’re the best people for the job. Before anyone comes to work with our team, they need to be checked out first. We ensure that every member of staff has the right amount of training in order to use tree trimming equipment. We also ensure that they know the right procedure for working around your home, keeping everybody safe. You can even ask to see our credentials before hiring us, to ensure that we’re the right tree trimmers for you. Many people think they shouldn’t hire a professional company to trim their trees, as the costs are so high. Especially at this time of year, they’re looking to keep costs down. However, our tree removal prices, Orlando, are much lower than you’d think. This is because we believe everyone should be able to access high quality, safe tree trimming, and removal. We’ll give you a free quote on our services, so you know exactly what you’ll need to pay. You’ll be surprised at how low our prices can be, without cutting back on service. Hiring professionals in to trim your trees mean that the whole process is much safer, both for you and your home. Having an expert work on your trees means that you won’t have to. 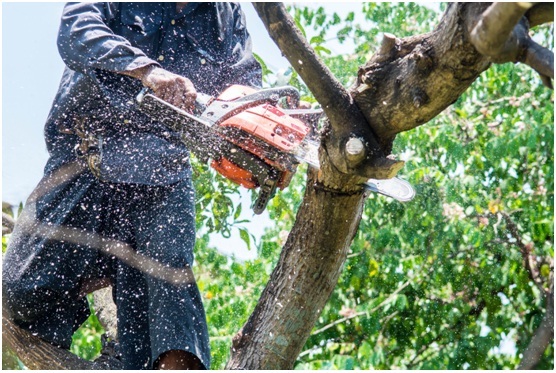 Our team has years of experience and training, so they know just how to cut down branches and trees safely. As well as this, they can remove branches that are close to your home without the risk of damage. This will give you peace of mind once those branches are removed. You may be worried about hiring in some professionals, as you’re worried about your yard. Will they take care to keep it safe? We can assure you that we would. We have our own crane, so we’ll avoid the need to create any more damage to your yard as we trim branches. We’ll also bring plywood to lay down if needed, so your lawn will be protected. This is the best time of year to hire professional tree trimmers, as they can deal with the heavier pruning jobs when there are no leaves on the trees. It also means that there’s less vegetation in your garden, so there’s less that they’ll need to work around to keep your yard safe. Not all trees can be accessed by a bucket truck. In fact, you may have avoided having a tree trimmed because you knew that someone was going to have to climb it. When we come to handle your tree, you don’t have to worry about that. 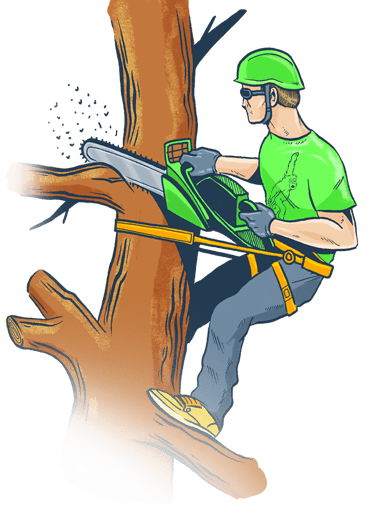 Our Orlando tree removal experts are trained climbers, so they can get up there and get those branches trimmed for you. In short, you should use us for your tree trimming and removal services, as we care about getting the job done right. Whether that means we’ll have to bring in a truck, trained climbers, or otherwise, we’ll make it happen for you. We’ll get your trees in top shape for the winter, meaning when spring comes around again they’ll be ready to grow. If you’re interested in a quote, get in touch with us. We’ll offer you a free estimate on the job.